Suction Dredging Hose-Dredging Hose--Hebei Orient Rubber & Plastic Co., Ltd.
Tube: Abrasive resistant synthetic rubber with high strength breaker plies and coated with a high grade synthetic rubber interior surface. Reinforcement: High tensile strength fabrics with a steel inner structure. Fully embedded steel wire coils are incorporated to achieve kink, crush and local load resistance. Cover: Synthetic rubber, resistant to abrasion, weathering, sea water and oil exposure. The cover, which incorporates reinforcing breaker plies is black with a bright orange spiral stripe or coated in tough bright orange polyurethane. Suction dredge hoses are designed for sediment absorption along with dredging ships. 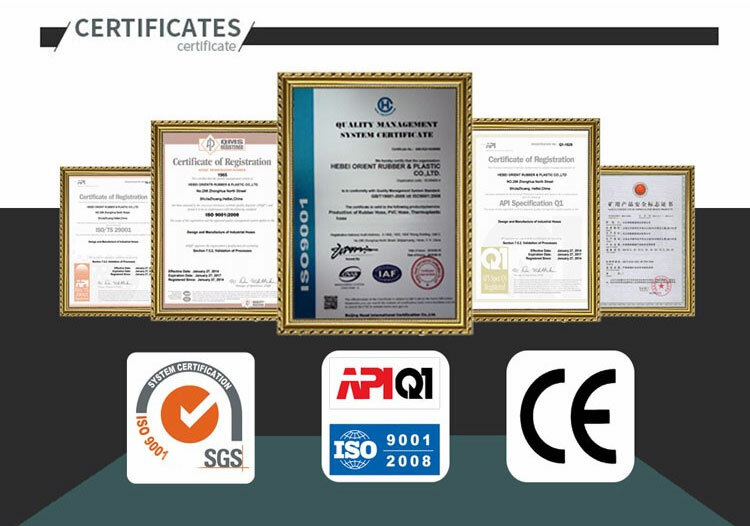 It is mainly applied for river and harbor construction, land reclamation and dredging, to extend the distance of the water dredging, The flexible and easily installed dredging hoses are abrasion and kink resistant thanks to the synthetic materials combined with the helix steel reinforcement wire. The smooth interior of the hoses helps prevent clogs and avoids damage from the abrasive materials passing through. 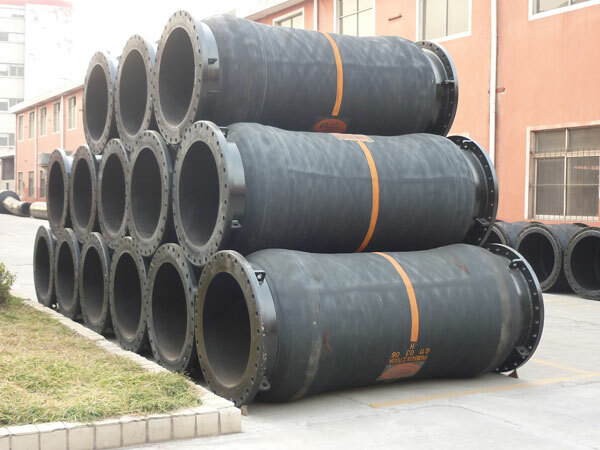 Production: Advanced technology and equipment to make the best quality rubber dredging hose. 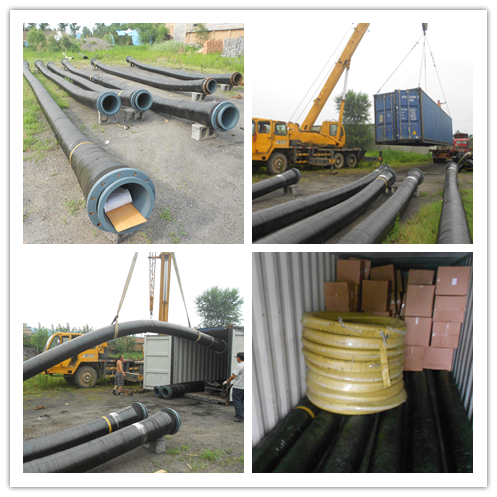 After finishing the dredging hose production, we will pack the hose.